Researchers have, until recently, thought that dog domestication occurred about 14,000 years ago. In 2011, the case for it taking place much earlier received a boost from sites across Eurasia. 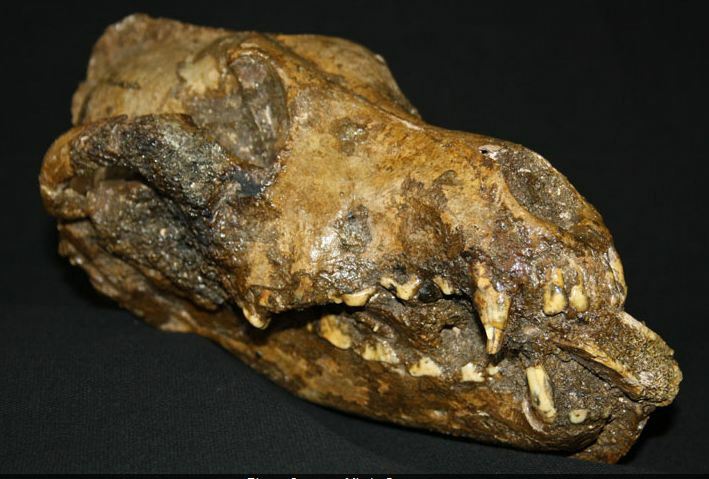 Mietje Germonpré, of Belgium’s Museum of Natural History, and a team of researchers published a paper describing three canid skulls that had many of the distinctive traits that separate domesticated dogs from their wolf ancestors, including a shorter, broader snout and a wider brain case. The skulls, which date to roughly 31,500 years ago, were part of a collection from the site of Předmostí, in Czech Republic. In addition, a separate research team found a dog skull at Razboinichya Cave in Siberia that was dated to 33,000 years ago. Both finds support a 2009 research paper published by Germonpré and her colleagues describing a 36,000-year-old dog skull found at Goyet in Belgium. Critics could write off the single dog skull from Goyet as an aberration. “When I received the results of the date I was really disappointed,” Germonpré said of the Goyet skull. “I thought no one would believe it. I couldn’t believe it.” But the evidence from all three sites now makes Germonpré’s case much stronger. Berger has enlisted John Hawks, a paleoanthropologist and blogger at the University of Wisconsin, to reach out to the online scientific community for input on how the research should be designed and to help analyze the “skin” samples. Because no one has ever found fossilized early hominid skin, Hawks says, there are no experts on the subject. According to Hawks, the open-source approach will help the team avoid a common pitfall of early hominid research—the sometimes decades-long delay between a fossil’s discovery and the publication of scientists’ analysis of the find. The team will post project updates online to inform the community of its progress and address any issues that might arise before submitting the research to a peer-reviewed journal. The project is starting to attract interest worldwide. 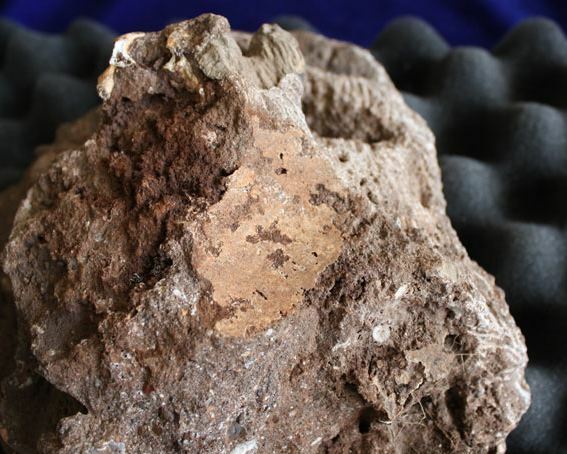 Berger’s team is in discussions with Russian anthropologists who suggested comparing the Malapa samples to other specimens of fossilized skin. The team is also working with a mineralogist from the University of Oslo, in Norway, to find a way to examine the structure of the “skin” with an electron microscope. If the mineral layer does turn out to be preserved skin, it could provide information about A. sediba’s hair, pigmentation, and sweat glands. If the layer turns out to be something else, paleoanthropology may still have gained a new approach to research. Add to that list the oval-shaped building at Wadi Faynan, known simply as O75. It dates to 11,700 years ago and, according to Bill Finlayson, director of the Council for British Research in the Levant, who led its excavation, “it appears to have been built by digging a pit and then lining the walls with a very strong mud mixture.” A floor was constructed from mud plaster and surrounded by two tiers of benches, three feet deep and one-and-a-half feet high, recalling an amphitheater. Postholes indicate that a roof covered a section of the structure. 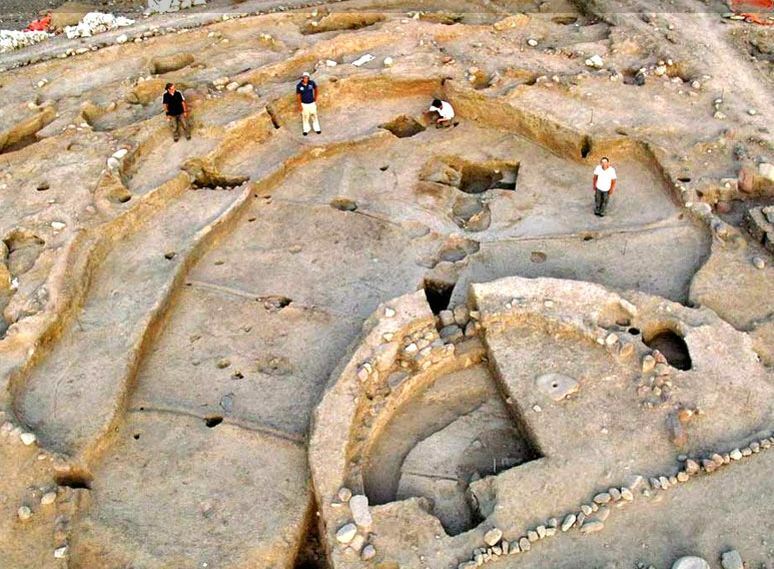 Some finds, including mortars for grinding found in raised platforms at the structure’s center, suggest people of the time might have used the building as a venue to collectively process plants, such as barley and pistachio. O75 may have additionally offered a space for communal gatherings. 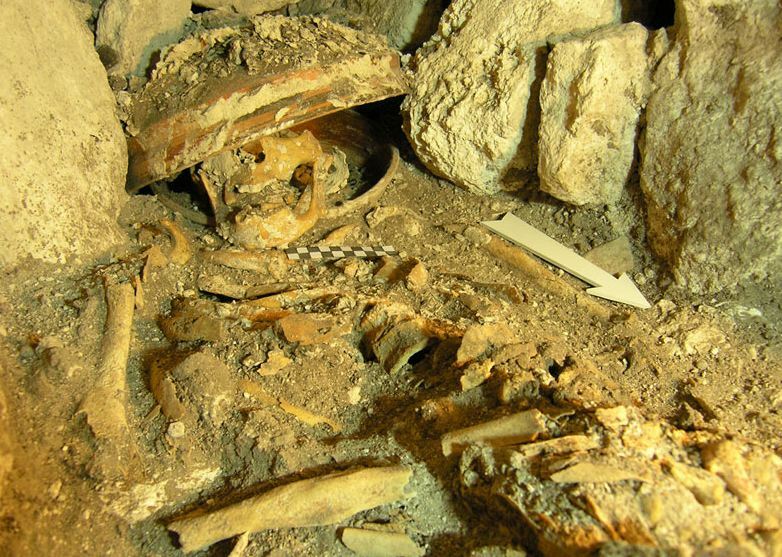 “It could have been a locale where small groups of people were aggregating on a periodic basis,” says A. Nigel Goring-Morris, a prehistoric archaeologist at the Hebrew University of Jerusalem who was not involved in the excavation. A spectacular Viking boat burial was uncovered this year on the coast of Ardnamurchan, a remote region of western Scotland, the first such burial to be found on the British mainland. The Viking, who is thought to have perished over 1,000 years ago, was most likely a high-ranking warrior. 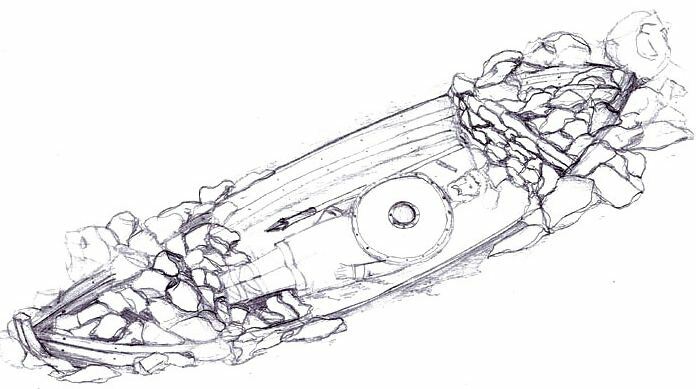 He was buried lying in a 16-foot-long boat, with artifacts including a sword with silver inlay on the hilt, a shield, a spear, an ax, and a drinking horn. “The level of preservation of the objects and the range of grave goods make this one of the most important Viking burials found in the U.K.,” says Colleen Batey, a Viking specialist from the University of Glasgow. Although the location is isolated today, at the time of the burial, it was right on the main north-south seafaring route between Ireland and Norway. No Viking dwellings have been found in Ardnamurchan, but Vikings are known to have inhabited the nearby islands of the Hebrides. “We don’t know why they chose this location for the burial, but the Neolithic and Bronze Age burial mounds there may have made it an important place for them,” says Oliver Harris, project co-director from the University of Leicester. Isotope analysis of the Viking’s teeth may eventually help the scientists pin down where he was from.